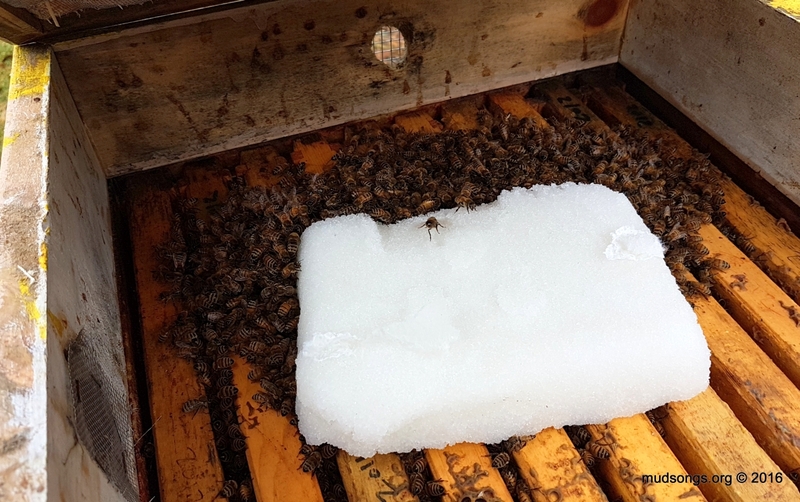 About 1.3 kg (or 3 pounds) of a sugar cake added to this hive today. (Nov. 30, 2016.) I’ll probably add more later when I find the time. 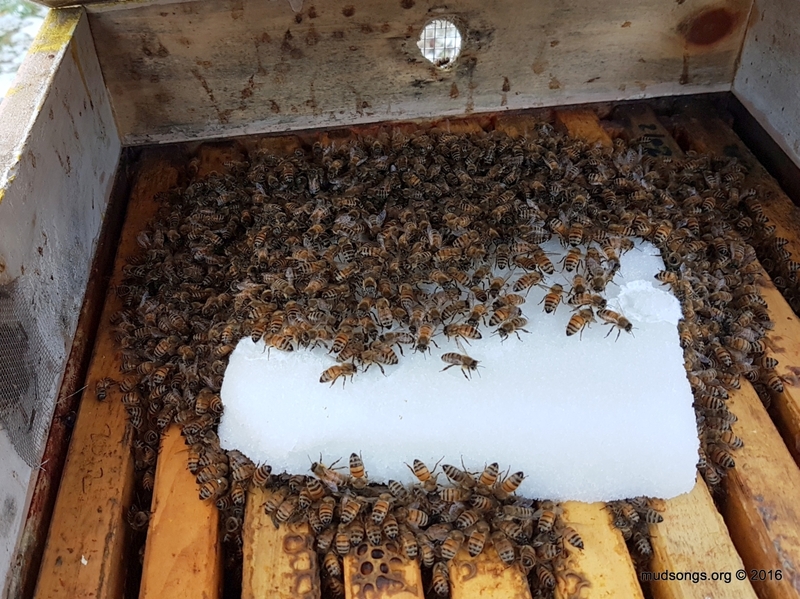 These bees were breaking through the top bars were so cold, it was easy to slide the sugar in without bothering too much. I followed my Sugar Bricks Recipe (12 parts sugar mixed with 1 part water) and made bricks that weighed between 1 and 3 pounds (0.5 – 1.3 kg). The bees that were clustering well above the top bars will get some sugar when I have my veil with me. I have no doubt that when the bees run out of honey, they will eat the sugar. 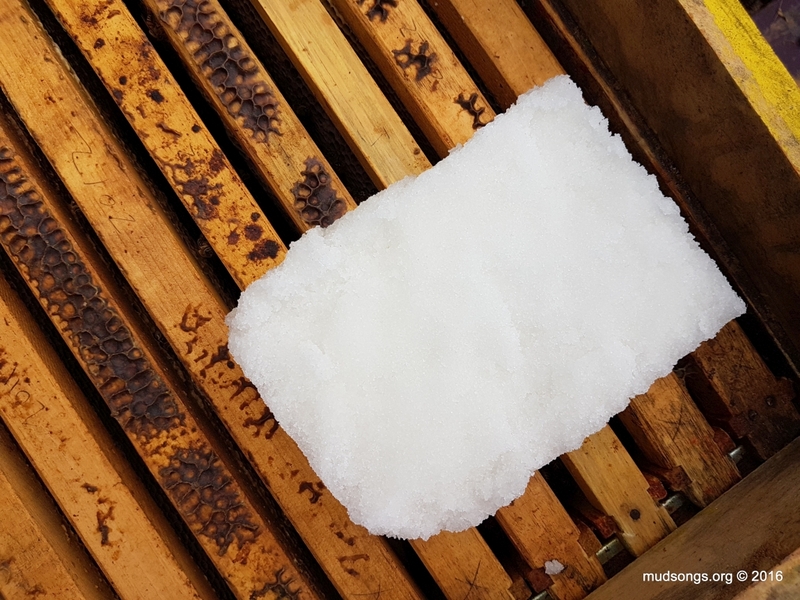 But if the bees already have enough honey in their hive (and I think they do), are they more likely to discard the sugar like they would with any debris? Does a higher temperature inside the hive compel them to discard the sugar (assuming they have enough honey)? 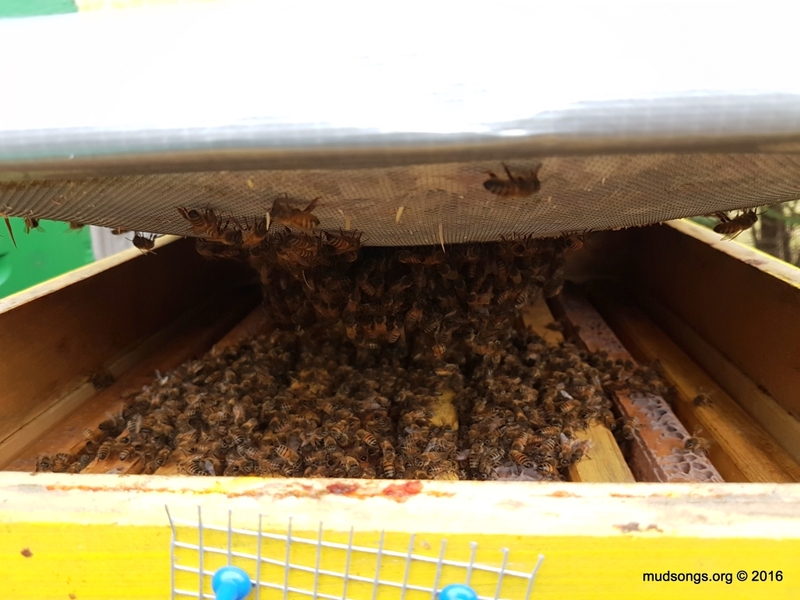 I’ll check for discarded sugar at the bottom of the hive over the next week and add another update then. This entry was posted in Brood Nest / Cluster, Feeding, Month of November, Sugar Cakes & Bricks, Weather. Bookmark the permalink.